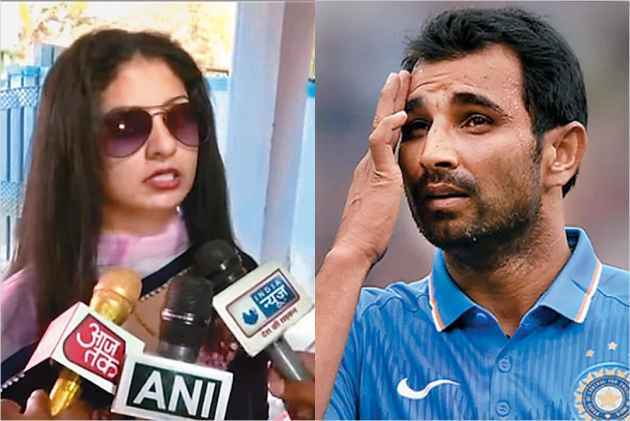 If we are to believe Hasin Jahan, Mohammed Shami’s wife, his ways with women are no less smooth than his bowling action. Charges of domestic abuse and violence, multiple extra-­marital affairs—all purportedly proved by screenshots of various soc­ial media platforms—crashed down like an avalanche. 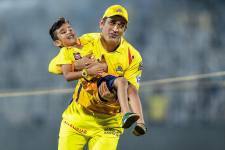 As the BCCI held back his contract, Shami protested total innocence. Even protestors, it seems, have in mind Silvio Berlusconi’s proclivities. At the polling station to cast his vote, the former billionaire PM, who hopes to play a role in forming a right-wing gov­­ern­­ment, was confro­nted thus: au natural nubility, which would have pleased him much, had the wench not printed ‘Berlusconi, you exp­ired’ across her chest, and Femen, the Ukrainian radical femnist group, on her back. This should be the gold standard of a ‘sensation’: two gold medals in two days on a world cup debut. The achiever is shooter Manu Bhaker (only 16!) who won gold in 10m Air Pistol, then hit bull’s eye with Om Prakash at the 10m Air Pistol mixed team event. This at the ISSF world cup at Guadalajara, Mexico. In the twilight of their lives, no greater pleasure can be had than from a reunion with friends from their prime. 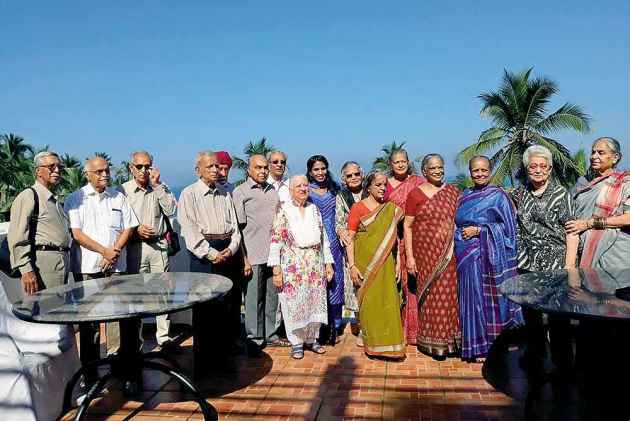 Ten 1959 batchmates of the IPS met up at Kovalam, among them Vappala Bal­a­chandran (second from left), a con­­tri­­butor to Outlook. Amidst old cops’ tales, they posed, along with their spouses, for a photograph with Sree Lekha (centre), Kerala’s first woman DGP. If anyone needs to cast a mermaid, we hope their choice would be Aisha Sharma—with her hair windswept on a moist, shady day, wrapt in an interesting suit, she is entirely seaworthy. Now, she’s to act opposite John Abraham in the thriller SMJ. Hope they let her swim along. It’s a pleasure having you back, James Ivory! 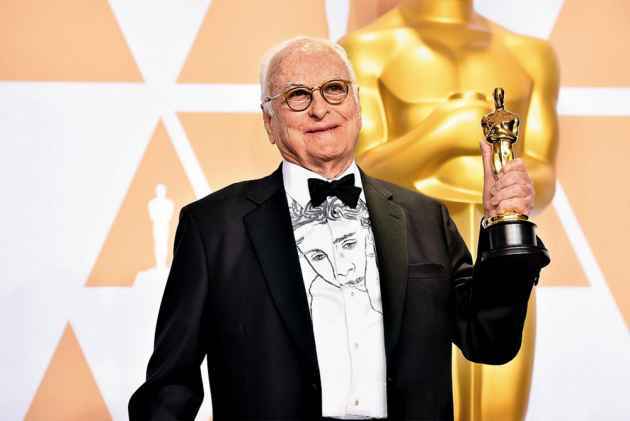 The creator of classics like Room With A View and Shakes­pearewallah bec­ame, at 89, the oldest winner of an Academy Award, for best adapted screenplay (from a novel by Andre Aciman) for the sun-splashed Call Me By Your Name, dir­ected by Luca Guadagnino. At the ceremony, Ivory wore a shirt painted with the face of the film’s star, the very pretty Timothee Chalamet. Donald Trump mocked the ratings this year’s Oscars garnered, which were the lowest ever, saying, “Problem is, we don’t have Stars anymore—except your president (just kidding, of course)!” Comedian Jimmy Kimmel, who hosted the event, jibed back, saying: ‘Thanks, lowest rated President in HISTORY’.